The New Law Journal is likely to soon feature the following article by Rob Kay discussing the very recent English case of Emirates Trading Agency LLC v. Prime Mineral Exports Private Limited  EWHC 2104 (Comm). The decision held that a clause which required parties to have friendly discussions prior to resorting to arbitration – a clause which is fairly common in contracts between Asian parties – was an enforceable condition precedent to the right to invoke arbitration. The case shows the willingness of the Court to apply decisions in support of enforceability (as in recent Australian, Singaporean and ICSID decisions). The applicant, ETA, agreed to purchase iron ore from the respondent, PMEPL. However, ETA failed to lift all of the iron ore expected and PMEPL raised a debit note in respect of liquidated damages pursuant to the terms of their contract. During the next shipment year ETA failed to lift any iron ore and so PMEPL served notice of termination claiming US$ 45m. They stated that if the claim was not paid within 14 days they reserved the right to refer the claim to arbitration without further notice. The claim was not settled and, in June 2010, the claim was referred to arbitration. “In case of any dispute or claim arising out of or in connection with [this contract] … the Parties shall first seek to resolve the dispute or claim by friendly discussion. Any party may notify the other Party of its desire to enter into consultation to resolve a dispute or claim. 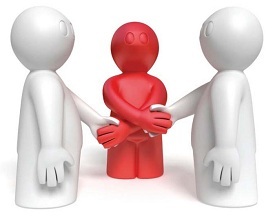 If no solution can be arrived at in between the Parties for a continuous period of 4 (four) weeks then the non-defaulting party can invoke the arbitration clause and refer the disputes to arbitration. All disputes arising out of or in connection with [the contract] shall be finally resolved by arbitration in accordance with the Rules of Arbitration of the International Chamber of Commerce (“ICC”). The place of arbitration shall be in London (“UK”)…. In December 2009 PMEPL terminated the contract. After an exchange of communications a meeting between the parties took place in Goa (although there had been previous meetings in Dubai and Goa these were before the termination). In the meeting they discussed possibilities to avoid arbitration, but no solution was found. Another (unsuccessful) meeting occurred in March whereupon PMEPL agreed to wait for a couple of months after which they would file for arbitration. ETA argued that the disputes clause required a condition precedent to be satisfied before the arbitrators would have jurisdiction to hear and determine the claim and that such condition precedent was not satisfied with the result that the arbitral tribunal lacked jurisdiction. ETA asserted that the condition precedent was “a requirement to engage in time limited negotiations” and the requirement was not fulfilled because there had not been a continuous period of 4 weeks to resolve the claims. PMEPL argued that the suggested condition precedent was unenforceable because it was a mere agreement to negotiate, but that if it were enforceable then it had been satisfied and therefore the arbitrators had jurisdiction. The Judge, despite being directed to several (first instance) decisions tending towards unenforceability, found them unpersuasive and declined to follow them. (iii)	The meaning reasonably to be attributed to “for a continuous period of 4 (four) weeks” was not only for friendly discussions to resolve a dispute but also for a period of time to elapse before which arbitration may be invoked: the discussions may last for a period of 4 weeks but if no solution was achieved a party may commence arbitration; or the discussions might last for less than 4 weeks in which case a party must wait for a period of 4 continuous weeks to elapse before arbitration may be commenced. (iv)	There was obvious commercial sense for the dispute resolution clause: arbitration can be expensive and time consuming, so it was far better to try to avoid it by friendly discussions. (b) the agreement was not uncertain – an obligation to seek to resolve a dispute by friendly discussions in good faith had an identifiable standard (fair, honest and genuine discussions aimed at resolving the dispute). The difficulty of proving a breach should not be confused with a suggestion that the clause lacked certainty; the parties had voluntarily accepted the restriction in the contract (and the court should be expected to enforce obligations which (a) have been freely undertaken; and (b) had the objective of avoiding a (likely) expensive and time consuming arbitration). However he found that there had been “friendly discussions” at the meetings and they had lasted for more than 4 continuous weeks. As a result the arbitrators had jurisdiction to decide the dispute because the condition precedent to arbitration, although enforceable, had been satisfied.